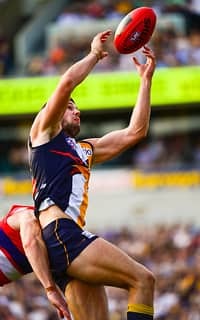 Eagles InterchangeJack Darling off due to an injury. Bulldogs InterchangeNick Lower off due to an injury. Eagles InterchangeLuke Shuey and is possibly out for the game. Bulldogs InterchangeKoby Stevens off due to an injury. The Western Bulldogs needed that goal to stay in the contest at the first break. Eagles with the composure, the targets and the 21point lead at quarter time. GOAL BULLDOGSJake-has-it-on-a-Stringer! We heard he could do that. Off the outside of the boot and you can hear the Footscray faithful making bold prophecies. BEHIND EAGLESShuey wins another free kick for high contact, this time from Boyd. The kick from 40m on an angle is offline. Free flowing contest at this stage. Priddis and Shuey busy for the Eagles. Bulldogs missing targets coming forward. GOAL EAGLESMasten ends up with the pill at the stoppage and somehow finds himself goal side and ramming home a major. McCartney will be furious with the Bulldogs set-up. Eagles by 26. Enormous pressure by the home side and the expectant but wary crowd has finally come alive at Patersons. GOAL EAGLESShuey is awarded the free kick for a high tackle. From 35m he puts the Eagles out to a 19-point lead. GOAL EAGLESKennedy marks it 15 metres out on a slight angle. He takes a few deep breaths then walks in and kicks the goal. GOAL EAGLESDean Cox kicks his second from 45m out. Never in doubt. Brennan kicks long and strong and Cox has found more space to mark inside fifty. Where are you big Will? Much better signs for the Bulldogs. Adam Cooney and former Eagle Koby Stevens are up and about. 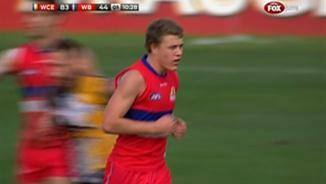 GOAL BULLDOGSHighly touted draft pick Jackson Macrae wins a free kick in the forward pocket after a high tackle by Masten. The youngsters slots it the delight of the blue, red and white faithful. GOAL BULLDOGSFormer Docker Nick Lower finds himself on the end of a Will Minson handpass and the Bulldogs get one back. GOAL EAGLESDarling gathers from 25m out after the Cox inside fifty and works it home. Too easy for the Eagles. The boys from inner-west Melbourne need to lift. Eagles by 13. GOAL EAGLESCox finishes beautifully from the so-called 'dead' pocket. Fifty metres out and the set shot is delightful. Eagles by 7. BEHIND EAGLESLe Cras has a ping to open the scoring but is offline early. Here we go! Bulldogs with the first foray forward but Glass stands in the way. Welcome to Patersons Stadium on a glorious Perth afternoon for this battle between the West Coast Eagles and the Western Bulldogs. Welcome to Patersons Stadium for the West Coast Eagles v Western Bulldogs Round 6 clash. IT MIGHT be a stretch to say the Eagles are flying again, but several key pieces of the West Coast puzzle fell into place during the convincing 70-point win against the Western Bulldogs on Sunday. With Nic Naitanui and Sharrod Wellingham getting through their first games of the year, the Eagles were far too strong for the Dogs at Patersons Stadium, winning 21.11 (137) to 10.7 (67) in front of a 36,163-strong home crowd. West Coast's accurate kicking was crucial. The Eagles had kicked 17.42 in their past two outings, but they scored 6.3 in the opening term to lead by 21 points at the first change. 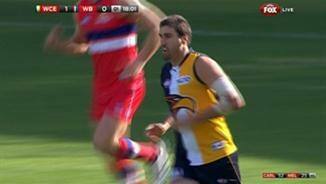 Dean Cox and Jack Darling set the tone early. The pair nailed four goals between them in the first quarter from four opportunities. 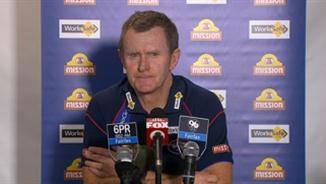 Eagles coach John Worsfold could not explain his side's improvement in front of goal. 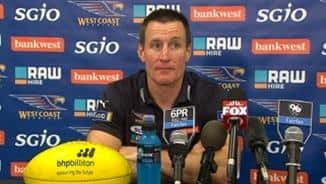 "I can't tell you what we did," Worsfold said. "I can't release my secrets. Confidence is a big thing. "Mindset and technique is a big thing in goalkicking as well." Along with Josh Kennedy, they stretched the inexperienced Bulldogs defence. Darling had five goals to half-time as West Coast was able to isolate him deep on a number of occasions. 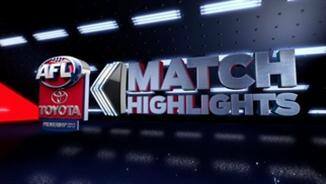 Kennedy and Cox bagged four apiece for the match, with the Eagles' power forward triumvirate kicking a remarkable 13.2 between them in a sublime display. Kennedy and Darling collided with each other in a potentially horrifying marking contest late in the last quarter but both walked away unscathed. "You hate to see that at that time in the game but you also like to think they can commit to the contest ... they look like they both pulled up pretty well from that," Worsfold said. Despite the scoreboard discrepancy, the Western Bulldogs were never comprehensively blown away. The visitors won the clearances, the inside 50s, and the contested possession counts but could not put the scores on the board. 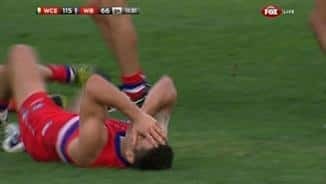 "That means when the game is stationary and stops, we’re very good at it," Western Bulldogs coach Brendan McCartney said after the match. "We’ll get there, but we need our leaders to show the right way and we need our young people to not lose confidence and know that it’s the right way to play and the correct way to play." Adam Cooney and Clay Smith were outstanding for the Bulldogs and Matthew Boyd worked hard all day but they lacked the depth and class of West Coast. The Eagles' experienced defence provided a lot of rebound from defensive 50 and the midfield's work-rate in transition was a feature throughout the afternoon. Luke Shuey was extremely damaging collecting 25 possessions, with five inside 50s and two goals before spending the last quarter on the bench with a calf problem. 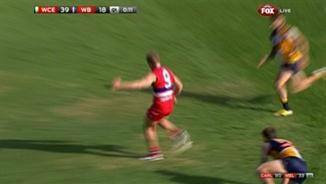 "His calf tightened up, Scott Selwood did as well late," Worsfold said. "They both had sharp cramps. "Scott stayed out there, Luke came off and iced up, so we'll have to wait and see." Wellingham showed what a valuable acquisition he could be, with the ex-Magpie amassing 26 disposals. "He was a bit scratchy with a couple of things he did, but a lot of the stuff he did was classy," Worsfold said. The Eagles lost Beau Waters pre-game when the vice-captain was withdrawn with an adductor strain and replaced by Will Schofield. "He had a tight adductor post the game last week and did a fitness test yesterday morning and wasn't quite right," Worsfold said, but added he was confident he would recover for next week.